I’ve been reading about the writing habits of famous authors and feeling amazingly out of it because I don’t have any extraordinary or weird practices. All I do to warm up is jump on a vine and swing across the creek outside my house while scoffing down a blood pudding. Okay, I know some may think the blood pudding a bit weird, but in Britain, where I was born, this is standard fare—well, almost. At least it’s not a drug like the Benzedrine and Seconal W. H. Auden is said to have swallowed regularly during his most productive phase, along with vodka when the drugs woke him up at night. And while we’re on this subject, the literary landscape is replete with druggie writers from Elizabeth Barrett Browning and her opium to Jean-Paul Sartre and his amphetamines, which he claimed helped him to think faster. Jack Kerouac’s amphetamine binges would last for days and resulted in his famous scroll of 120 feet of taped sheets of paper that he constantly typed until he had completed On the Road. And drugs are the least surprising of some writer’s habits. Henrik Ibsen hung a portrait of his rival August Strindberg on his wall to push himself to the limit in his writing. John Cheever admitted to writing many of his stories in his skivvies. Marcel Proust wrote in bed in a windowless room lined with cork. Capote claimed he couldn’t think unless he wrote—initially in longhand—lying down, puffing a cigarette and sipping a coffee. Vladimir Nabokov wrote most of his novels on 3 x 5-inch cards, and he stood up to do it, as did Hemingway. Gertrude Stein found poetic inspiration sitting in her parked Ford. My writing habits can’t compete with all that weirdness—apart from my warm-ups on the hanging vine, that is. I sit at a desk in a room with windows to tap my computer keyboard as I drink ginger tea. When my prose begins to overwhelm me, I grab a handy tissue. If that doesn’t work, I go for a quiet walk down a rural lane, and if that doesn’t work, I leave the country. Writing habits can be amazingly different for each individual, but one habit that appears to be common to all successful writers is practice. Talent is 10 percent inclination and 90 percent hard work. That goes for any skill. I taught piano for years, and told my students that daily practice was the key, even if it was for ten minutes only. For writers there’s another component to practice. You not only have to devote as much time as possible to writing, you have to feed your creative neurons by reading the best authors as often as you can. And you can make that as creative a habit as writing—sitting in your clunker waiting for the traffic to move, standing up in your skivvies in front of a portrait of your archrival … you get the idea. Maggie Lyons is a writer and editor who was born in Wales and crossed the pond to Virginia. With no regard for the well-being of her family and neighbors, she trained as a classical pianist. Then came a career of putting rear ends on seats—that is, orchestral management, marked by reams of marketing and fundraising writing and program note scribbling for audiences many of whose first priority was to find their names in the donors’ lists. Editing for academic publishers also brought plenty of satisfaction—she admits she has a fondness for nerds—but nothing like the magic she discovered in writing fiction and nonfiction for children. 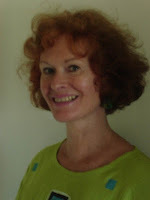 Several of her articles, poetry, and a chapter book miraculously appeared in Stories for Children Magazine and knowonder! magazine. She hopes her stories encourage reluctant young readers to turn a page or two. A twelve-year-old boy named Vin, goes on a mission—reluctantly. He doesn’t share the optimism of the knights of old who embarked on impossible missions without a doubt they’d succeed. When magnetic compost heaps, man-eating bubble baths and other disasters erupt, Vin comes close to packing in the whole ridiculous business. He calls it Operation BS, his code name for a mission to introduce his sister to a boy she has a crush on. He doesn’t want to play matchmaker, but Meg’s promise to reward him with a David Beckham autographed soccer jersey is a decisive incentive. 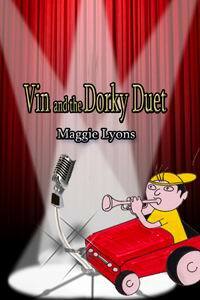 http://www.amazon.com/dp/B008AK7ALE, and as a paperback at Halo Publishing International at http://halopublishing.com/bookstore/Maggie-Lyons. I think, at least hope, the romantic image of the lonely writer using drugs or alcohol to unleash the creative muse is in the past. I agree -- practice, practice, practice. I play the flute and the piccolo, so the idea of practice feels very familiar. Yes, Rampal and Galway are enormously talented, lucky, and dedicated -- but they also practice many, many hours a day. Ah, I warm up on the hanging vine too (and also leave the country). Thanks for an amusing piece! Glad you all like the guest post form Maggie. I love sharing tips and tidbits from authors I work with. I learn so much from all of them and you here! Virginia, I really enjoyed this article. It helped bring some balance with the advice from writers who say "go, go, go!"